Can You Eat the Berries From a Cascara Tree? When Is the Harvest for the Acai Fruit in Brazil? 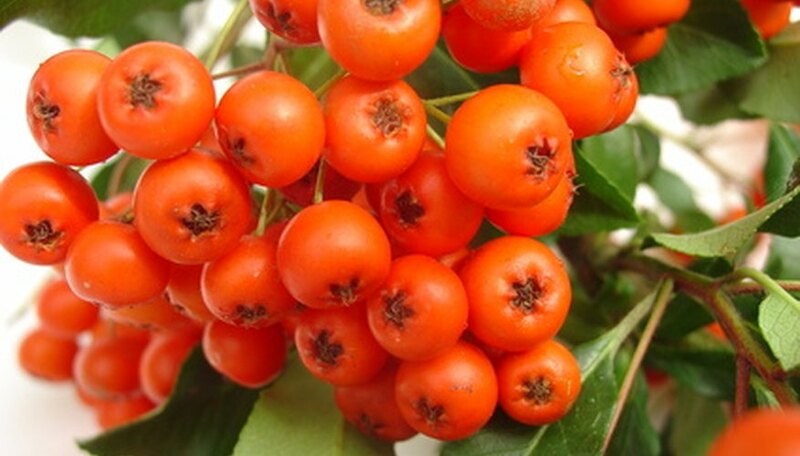 The ornamental firethorn bush (Pyracantha angustifolia) "Gnome" has a dense, round habit and glossy, green foliage. Its lance-shaped leaves are evergreen where winters are warm. Gnome also has white spring flowers and vivid orange, September berries that continue to provide color into the winter. Yew is an attractive evergreen shrub or tree often sculpted into a hedge. Its needles are green and soft to the touch, and red berries stand out among foliage. The berry flesh is sweet and nontoxic. However, the seed inside the berry is toxic. According to the Poison Control Center at the Children’s Hospital of Philadelphia, ingesting more than three berries may cause vomiting, dizziness, trouble with breathing and changes to a child’s heart rate. Nandina (Nandina domestica), also known as heavenly bamboo, is an evergreen shrub native to Japan. Red berries add a splash of color to southern landscapes throughout the year. Besides formal plantings, nandina has a tendency to spread beyond gardens and become weedy in fields, roadsides and other disturbed areas. Though attractive, berries are potentially toxic to cats and animals that graze, according to North Carolina State University. The plant group Lantana consists of about 150 species. In southern regions, this shrub reaches 6 feet tall. 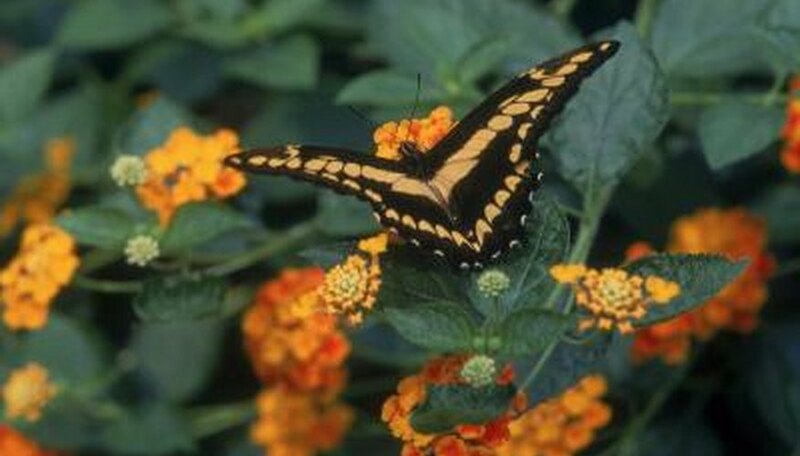 The plant produces colorful, tubular flowers that attract butterflies. Following bloom, Lantana develops berries that turn from green to black. Aggie Horticulture states that the unripe green berries are poisonous and affect the lungs, kidneys, heart and nervous system. Mistletoe is best known as an evergreen decoration during the winter holidays. Botanically, it is a parasitic plant that grows on trees such as alder, pear, ash, walnut and silver maple. Female plants produce white berries in late fall that provide a food source for birds. Large quantities of berries are toxic for humans, causing stomach upset. Berries from the cascara tree can be eaten by humans, but they are not recommended. Cascara berries can cause diarrhea and stomach upset. Keep berries separate from other plants in the greenhouse to give them their preferred soil. All berries prefer quick-draining foundations, with plenty of nutrition from compost. Some berries prefer higher acidity in their soil, while others don't require any change in pH. All fruit trees and plants require full sun, and berries are no exception. Keep the plants in an area of the greenhouse where they'll receive six to eight hours of sun every day during summer. During winter, keep cold-sensitive berries like blackberries in the center of the greenhouse, and blueberries, which require cold in the winter, near the windows of the structure. The enclosed growing environment of a greenhouse may require more careful watering than an outdoor environment. Maintain deep waterings every couple of days to keep soil moist and nurture the berries. Although the greenhouse protects berries from external temperatures and weather, these plants may still adhere to their natural growing seasons. Berries are summertime crops, so will bloom in spring and bear fruit over summer with the right care. During harsh, cold winters, gardeners may need to heat the greenhouse to maintain sensitive berry plants. Use heaters and fans to warm air and circulate it around the structure, and increase your waterings at that time to keep the plants from drying out. The acai palm (Euterpe oleracea) is a Brazilian native, growing up to 90 feet tall, flowering and fruiting year-round. The main season for harvesting acai berries in Brazil is between July and December. The berries are small and purplish-black and have been used by the Brazilians for hundreds of years for their health benefits. Cut off and remove any branches or twigs that are dead or diseased. Prune off branches that are growing close to the ground and that would sag to ground level under the weight of ripening berries. Remove short branches growing from the base of the plant. These small branches will not produce much fruit and will take energy away from larger, more productive branches. Remove the two largest branches. Do this every year. As the branches grow larger, they become less productive. The energy the plant uses for them will help produce more and larger berries on other branches if these large unproductive ones are removed. Prune any branches that are growing laterally across or rubbing against other branches. Examine the silver buffaloberry plants in the late winter to determine where pruning and shaping is required. Formulate a plan prior to making any trims to ensure that the finished result will be as you desire. Spread the small tarp under the plants to catch the trimmed branches as you cut them. Wear gardening gloves to protect your hands from the thorns that grow at the nodes of the stems. Proceed carefully to avoid injury. Use the pruning shears to shape the silver buffaloberry plants into the desired shape. These plants are very hardy and thrive in almost any growing condition. Shape them as desired without concern about injuring the plant or retarding growth. Remove the tarp carefully and discard the trimmed branches. Purchase cranberries from your local grocery store. If you choose to, you can harvest your own wild berries. Wild ones can be found in swamps or you can grow your own in your backyard. Sort through your cranberries and look for ones that are fully ripe, free of any damage and firm. Place them in a bowl. Heat a pan of water until it boils. Add the cranberries to the boiling water. Allow the berries to sit until the skins split, but not until the berries turn soft and mushy. If they get to that point, they are no longer useful for dehydration. Place berries into dehydrator. You'll want to dehydrate them from anywhere between 12 to 24 hours. Make sure to rotate the trays and stir around the berries during the dehydration process. Place dehydrated cranberries into a Mason jar or into a vacuum sealed bag for later use.